The Boulder cam is made possible by the West End Plaza. 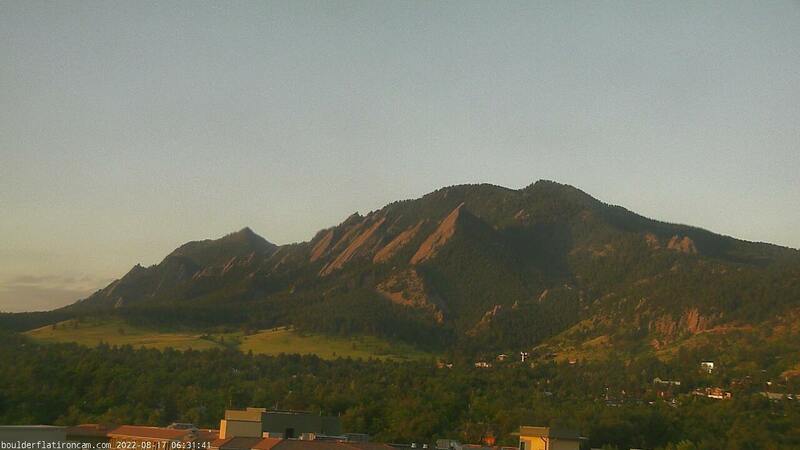 The view is to the south from 1035 Pearl St. in Boulder. Flagstaff mountain is closest on the right, then Chautauqua park, the flatirons, Green Mountain, Bear Peak and an ample amount of sky to see what’s happening with the weather.